We’re thrilled to announce our The Happy Face Collection, part of the Born In Brooklyn Private Label. The collection is produced and sold via Fun Finders. We see furniture and interactive elements for play and learning as objects of delight; saying to children “this is for you!”. 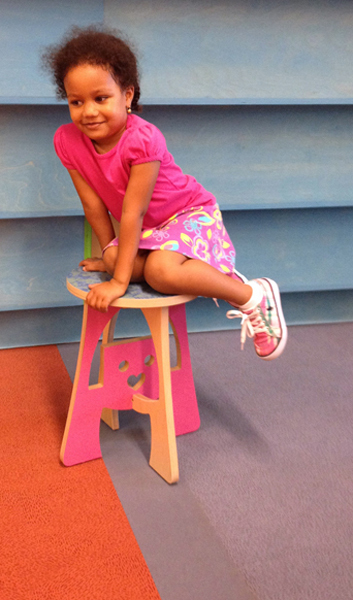 The first products that are rolling out include the Happy Face Stools, Puppet Theater, and Book Bin – Toy Boxes. 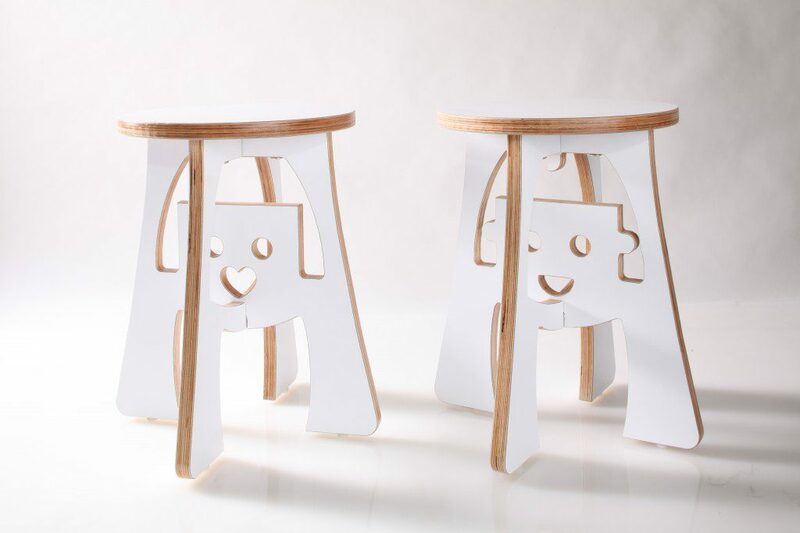 The friendly profiles of a boy and girl (or cat and dog) communicate the essence of the stool as part a fun and playful collection. Long aware of a lack of durable products for children, we designed these stools, irresistible to kids, yet just “big” enough to provide adults a welcoming seat. The design is lightweight, easy to move about, and stands up to “tough love” by children, the toughest of consumers. Each stool is a mix of Baltic Birch and hard-working laminate surfacing. This combination exposes the natural beauty of the wood edge, while adding color and resilience. The stools have been produced in a palette of options from clean Miami White to custom branded hues; all of which enhance experience-based environments. The Happy Face Stools are purposeful, cheerful elements, already acquired by a pediatrician’s office suite, an art museum, a children’s museum, several libraries and as much-loved furniture in playful homes. The entire collection reinforces a marriage of craftsmanship with mass production and places our own trusted design into projects at a viable price point. The junior scale of the stool suits children and fits adults, optimizes laser-cutting and a careful use of material goods resulting in little waste. The stools efficiently slot together, thus shipping as flat pack product, which also reduces delivery costs. 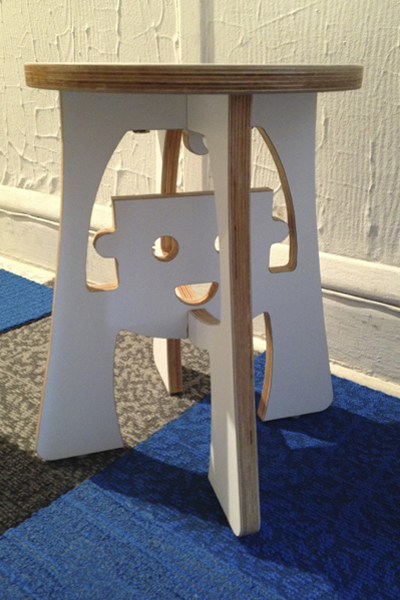 Happy Face Stools are available for purchase by interior designers, architects, clients, and parents. The design marries functionality, safety, and developmental appropriateness with an adorable “BFF – Best Friend Forever” aesthetic. The Happy Face Stool, Happy Face Theater, & Happy Face Book Bin/Toy Box are high quality products for play and learning. Purchase through Fun Finders at 312.391.0921 to place an order.